Wow, a lot has happened in my life in 2017. A. LOT. I don’t even know where to start. I’m going to share my experiences with you all and hopefully inspire you all to do bigger and better things for yourselves in 2018. The easiest way to do this is going to be chronologically so I’ll do my best to keep these in order. It was definitely a year of firsts and new beginnings for me. My wife Cara and I were fortunate enough to have another beautiful, healthy boy, Rocco Xavier Scuola. We just recently celebrated his 1st birthday. I don’t think the impact of this needs an explanation but I will say that definitely helped put things in perspective for me. My family is the biggest reason I do what I do and strive for success. They are the greatest motivation anyone can ever ask for. The support that they have given me over the years is unmatched and I wouldn’t be where I am today without their support. The year started off with a bang. 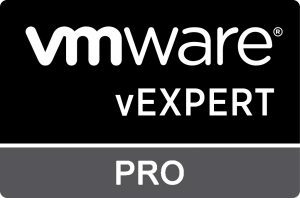 I was award the title of vExpert by VMware for the first time. It is truly an honor to be on this list. It’s still surreal to me that I made the cut. I’ve already written a post about what it meant to me that you can find here. Coming off being named a vExpert, things got even more exciting. My good friend Ariel Sanchez Mora and his lovely wife Amy decided to leave NYC for Pittsburgh. I was (and still am) sad to see them go. I wasn’t the only one though. Ariel was a co-leader of the NYC VMUG and left a HUGE void with his departure. The remaining co-leaders thought that I would be a good fit and asked it I would help out. I immediately accepted their gracious offer and I’m really happy that I did. We’ve done some amazing things in 2017 and 2018 is looking just as great. More on that coming up later. The hits just kept on coming after that. After years of being on the customer/partner side of IT, I decided to make the jump to the vendor side of things. Boy, am I happy that I did. I tell everyone that will listen that I should have gone into pre-sales years ago. Zerto has such an amazing culture and only hire top notch people. 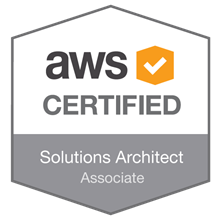 I’ve been using the product for over 3 years as a customer so it was an easy transition to an engineer role for me as I can speak from experience. Here is more about the move. So I know what you’re thinking, I already talked about this. This time, I’m not talking about me though. 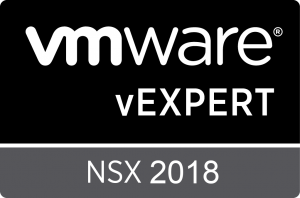 This one is even more special because I was able to take someone under my wing and coach them on what they needed to become a vExpert. Best of all, THEY MADE IT! I was so proud. I still am. I literally did none of the work, I just aimed my friend in the right direction and answered the questions that came up during the process. This touches on something that has been discussed on Twitter a lot recently. Mentoring. It’s such an important part of all of our careers. If it’s not currently a part of yours, you should change that. It’s not just about being mentored by someone else, it’s about what you can do to give back. I’ll touch on this again in a few. Going with the theme of firsts, 2017 was the first of hopefully many times that I was fortunate enough to attend VMworld in person. What made it even more special was the fact that the NYC VMUG was awarded the Extra Mile Award. We started doing Whiteboard Meetings in NYC with our members where we would dive deep into current technologies, projects we’re working on, home labs, etc. We presented the concept on a VMUG Leader Call and they thought that it warranted recognition. I was so proud to be there to accept in person. My contributions to the community continued as the year went on. I was honored for a 3rd time to be named an inaugural member or the vExpert Cloud sub-program. I never would have guessed in the beginning of the year that I would end it as a triple vExpert. I’m sure that you’ve seen a trend here. The majority of what I’ve talked about has been around the #vCommunity. I personally would not be where I am today if not for the help of others. I always try to do the same for others where possible. Whether, it’s sharing technical knowledge, giving career advice, or even trying to help friends find new jobs, I’ll do my best to provide assistance where I can. That’s why I was drawn to the Level Up Project. It’s everything that I love about VMUG and the #vCommunity but it’s not just limited to VMware. Take a look at the website/Twitter and you’ll find the vTrail Map. This was an awesome resource I found at VMworld. It’s only going to get bigger and better next year. The people that are involved are really some of the top talent in the industry and I’m still wondering why they keep letting me hang around them. 🙂 Hopefully they never catch on. 2017 has been a phenomenal year for me and it’s going to be tough to top it but I’ll do my best. My focus for 2018 is going to be spreading the knowledge and helping to mentor anyone who’s looking for help. I won’t limit it to just technology as there are a lot of people out there that are much smarter than me. I can share career experiences in both large and small companies, as well as what being in sales is like now. If you’re looking to get more involved in the community, I know just the guys and gals that you should talk to. If I can help you, I will. That’s my promise to you. I’d also like to say thank you to everyone who has helped me get where I am today and supports me everyday. First off, my wife Cara. She’s the real MVP. None of this is possible without her love and support. The NYC VMUG crew, you guys are the best. Not just the leaders but our regular whiteboard crew too. Ariel, Niran, Prabhu, Azarya, Anton, thanks for setting the bar so high and making me want to get better every day. To my team at Zerto, thanks for showing me the ropes and making this an unbelievable experience so far. To everyone in the #vCommunity, just keep being awesome as you inspire me to do better every day. Happy New Year everyone! I’m really looking forward to what 2018 is going to bring us.